LOVEBITES is a British, alternative rock & roll band formed in March 2017 in Sabbath City / Birmingham, England, featuring ex-members of SHARKS, Foes and Octane OK. Having come together originally as a 3 piece when bassist, Christian O’Reilly approached old friend Jack Perry to front a new project alongside former bandmate, Marcus Williams. 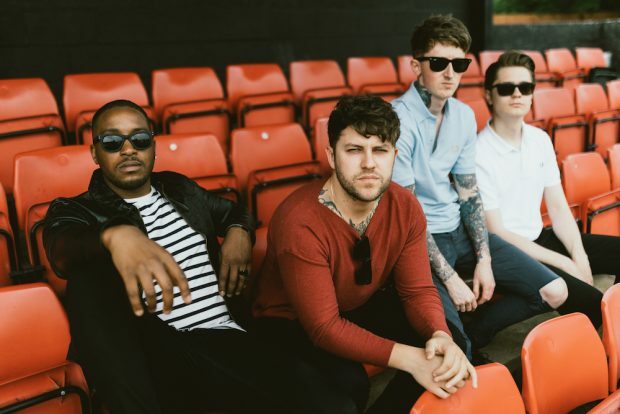 In the late summer of 2017, they recruited friend David Robinson, to take on lead guitar duties & began writing for their debut EP, ‘Social Hell’. LOVEBITES debut EP will be released through the bands own DIY label, Sabbath City Records on the 20th July 2018. The EP features four tracks of authentic British Rock & Roll with an honest rumbling of heart-on-your-sleeve punk rock for good measure. ‘Social Hell’ will be available on vinyl and through all usual digital platforms from the 20th July through Sabbath City Records. The band will also play a homecoming show at the city’s Flapper & Firkin venue on Saturday 11th August.